This is how you can get along better with your partner's parents. A new BBC documentary about the royals, Prince, Son and Heir, reveals the backstory behind Prince Charles walking Meghan Markle down the aisle — and points to some interesting insights about their in-law relationship, something many of us are thinking about as we prepare for holiday gatherings with extended family. Markle’s father suffered from a heart attack in the days before her wedding and couldn’t attend as planned, so her future father-in-law stepped up to walk her down the aisle. When Prince Harry made the aisle request of his father, Prince Charles replied, “I’ll do whatever Meghan needs and I’m here to support you,'” Harry says in the documentary. 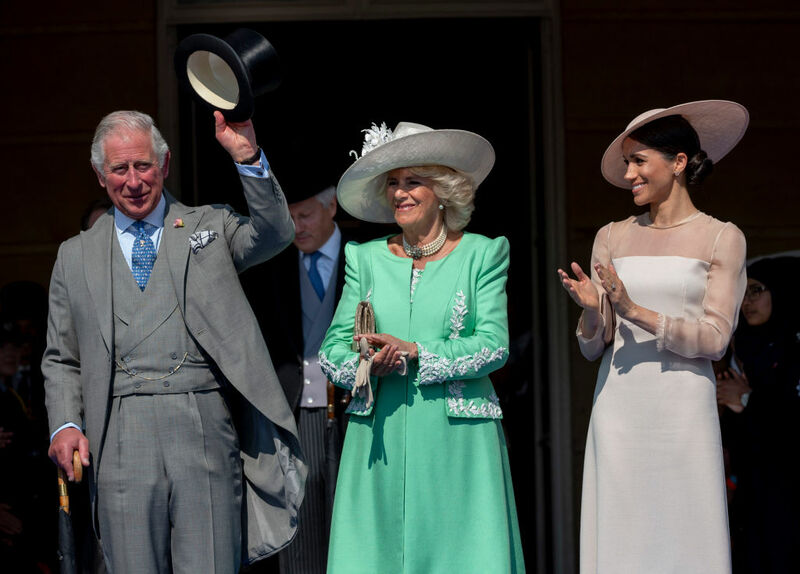 Other gestures the royals have made since then, like the Queen’s Christmas invitation to Markle’s mother, Doria Ragland, display the same welcoming stance toward the newest member of the family. In-law relationships aren’t always known for being the easiest or most pleasant. “Decades of couples research has shown that in-laws are one of the most common sources of disagreement and stress in a marriage,” Stephanie Wilson, Ph.D., a postdoctoral candidate at the Ohio State University Institute of Behavioral Medicine, tells Thrive Global. One study conducted by renowned British psychologist Terri Apter, Ph.D., who has published eight books on family dynamics over the past two decades, found that three out of four couples, and 60 percent of wives, reported considerable conflict with their in-laws, Wilson notes. Some of the difficulties stem from “differences in opinions and values — whether in politics, religion, or parenting,” Wilson says. “There may also be lingering complications and boundary issues between adult kids and their parents, creating a delicate situation that the spouse can easily upset.” Another common reason for tension between in-laws and spouses are “power plays,” or a perception of criticism and disapproval coming from in-laws, Andrea Bonior, Ph.D., a psychologist, author and adjunct professor at Georgetown who studies friendships, tells Thrive. But it’s key to a happy marriage to try to get along. A study from the University of Cambridge Center for Family Research found that rifts between parents and their son’s wife are among the most common reasons for family estrangement. “For better or worse, in-laws can be an important part of a couple’s larger social network, and thus can really impact the marriage. In the best of scenarios, in-laws can provide much needed practical and emotional support to a couple and can enrich children’s lives as grandparents,” Wilson says. As we approach the holidays, it’s worth it for your marriage and your family to get yourself into that “for better” category, which Markle seems to have done so far. Bonior offers some great insights on how to do that. People often feel implicit biases towards their in-laws before they even meet them, because of the baggage they know their partners carry from their parental relationships, Bonior explains. This can make it challenging to build a relationship with your in-laws, since you may feel guarded and protective of your spouse. Bonior advises actively fighting against this instinct, remembering that parental relationships are always nuanced and making a point of being open when you first meet them — that way it’s easier to give them the benefit of the doubt and build a rapport that doesn’t build off their history with your partner. Often, when we don’t get along with people right away, it can be easy to imagine all kinds of malice that may be lurking behind certain gestures or comments. For example, if your in-laws want to have a separate chat with your partner without you over the holiday break, it can be easy to imagine that this is an insult towards you, but that’s not usually the case (they may simply be discussing family documents or other boring but requisite topics.) Try to empathize with how hard it must be to see your relationship with your child change, Bonoir offers. And sometimes your spouse will just want to take time alone with their parents. Try not to take it personally. It’s often healthy for your partner and their parents to maintain a relationship that preceded you, as long as they also make an effort to help you feel welcome. It’s key to cultivate a relationship with your in-laws that exists outside of your spouse, Bonior points out. “If you want to nurture the relationship, you have to be willing to… relate to them as people rather than just as your spouse’s parents. It can be hard, and you may want to use your spouse as a buffer,” she says, But it’s important to view them as a human beings with their own interests, views, and opinions. Demonstrate a curiosity about their lives and their interests, and cultivate a relationship from there.